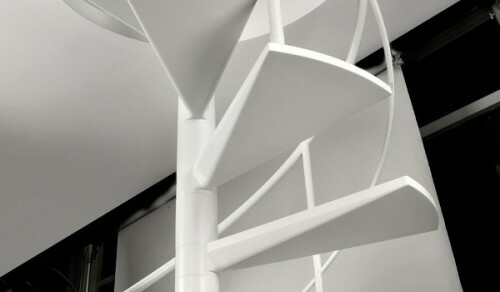 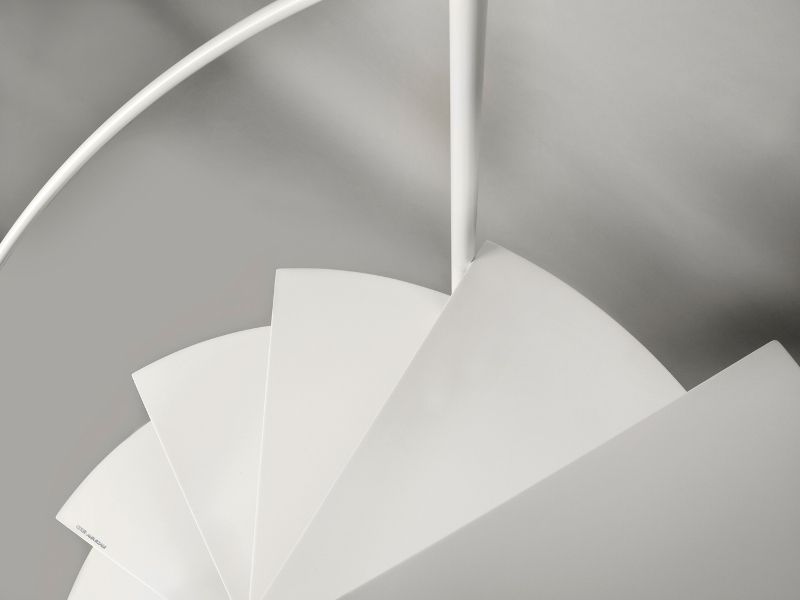 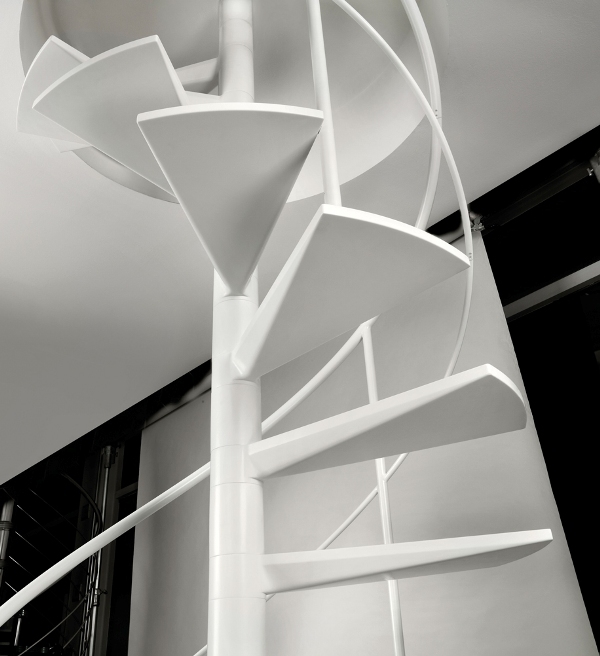 Round-based spiral stair with steel structure. 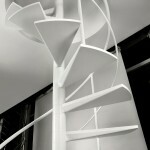 Steps with steel central core, DuPoint Corian Glacier White coating. 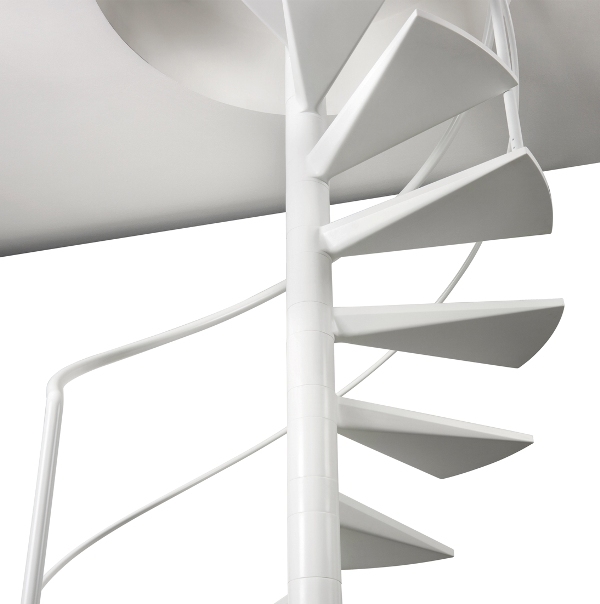 Self-bearing cantilevered steps with no external support. 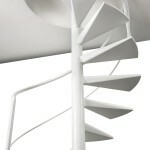 Steps with turned insert and made to measure regular risers with no spacing rings. 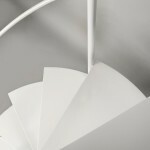 LIGHT banister: 2 semi-gloss glazed steel rails, RAL 9016 finish, total white.